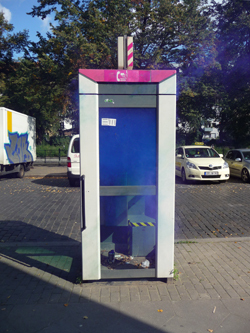 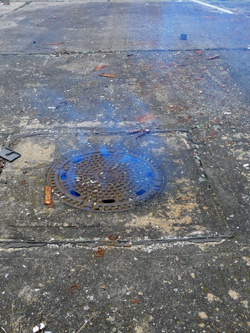 The project is running for years. 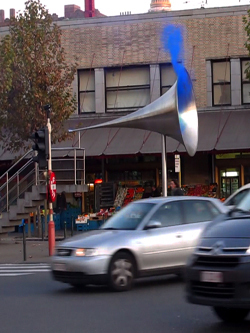 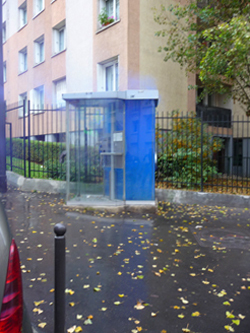 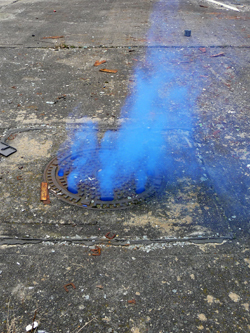 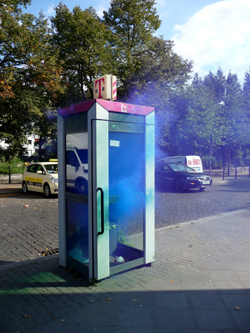 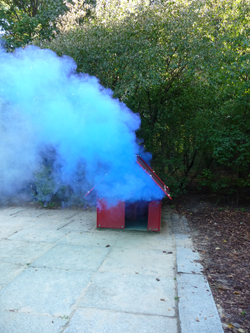 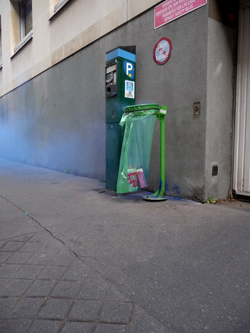 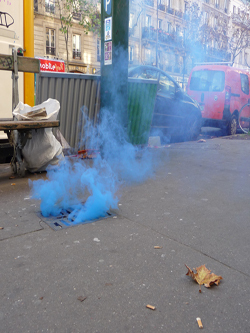 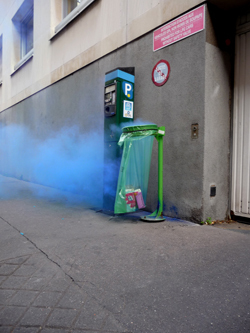 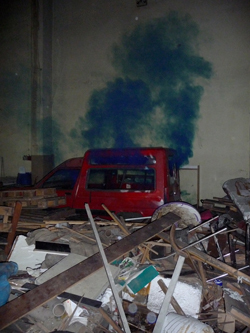 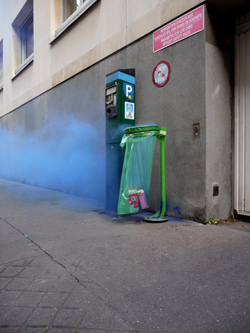 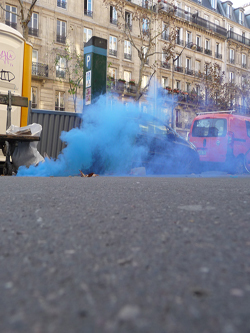 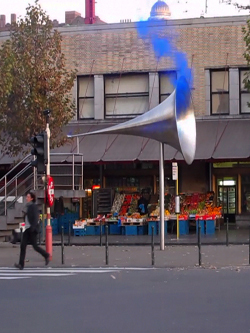 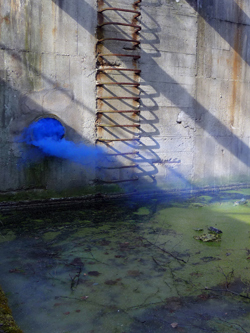 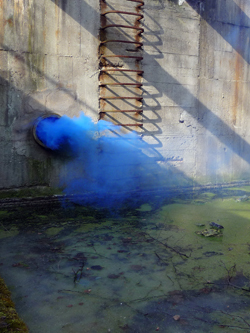 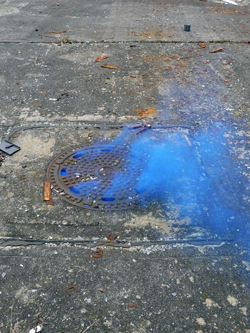 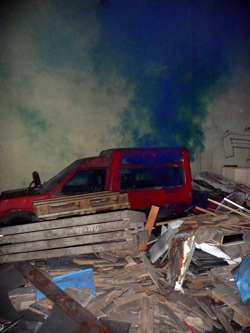 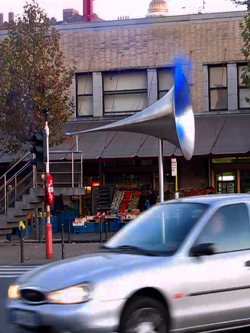 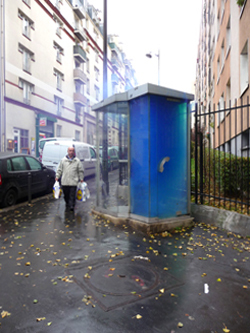 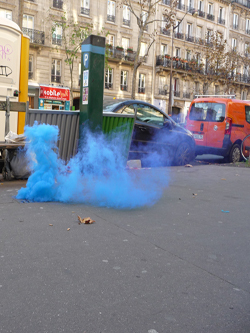 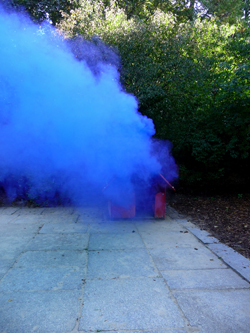 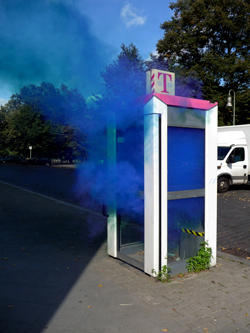 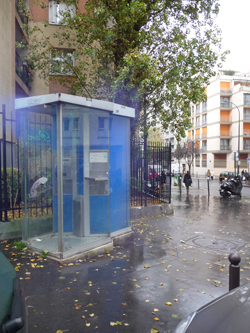 Again and again I discover beautiful places where blue smoke grenades can wonderfully adapt to the environment. 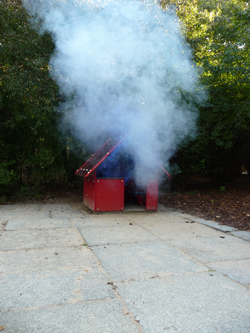 The smoke is present for only a few moments and fades away quickly.